Before starting your marketing journey, first, make sure you know what your goals are. Maybe you want 400 subscribers every month or maybe you want your first 3 clients. Your goal will decide which strategy is worth using. Second Thing, don’t say I want everyone to be on my email list. Each person has different needs and no single business can satisfy all of them. Not yours, not mine. Know which exact problems you can solve and then find people who want solutions for these problems. Last Thing, please go deep with these strategies. And, try them out for your business. These have worked for me and my clients. And, hopefully, you will get great results from them. 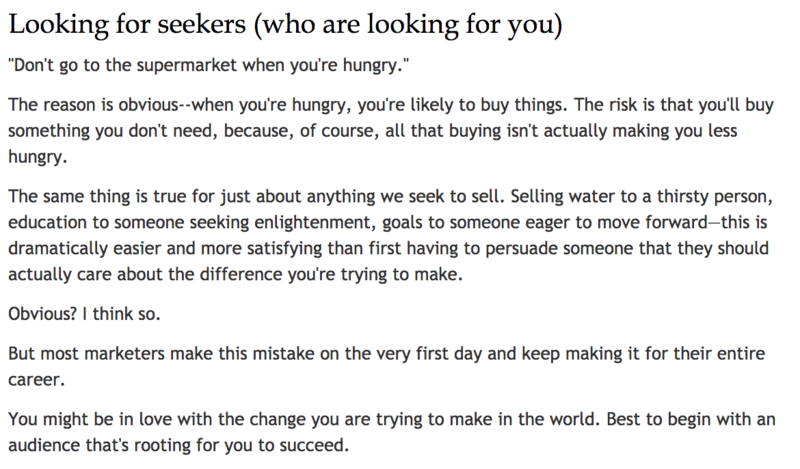 A few words from one of the best marketers of all time – Seth Godin. When you are just starting out, you don’t need 100 clients. You don’t need Facebook Ads, Instagram Marketing, Guest Blogs at this point. There will be a time and place for them. Right now, the only thing you need is your inner circle. Our inner circle is what we call the lowest hanging fruit. What do I mean by that? Do you have 50+ contacts on your phone? – Pick up your phone, call them and ask – if they are struggling in the area which you can help them in. Now, I know picking up a phone to tell them about your service is scary for many people. It was scary for me. But, that’s where you have real conversations. That’s how you understand their actual priorities. Best is face to face, but going out to meet 200 people will be really time-consuming. If you are really afraid of phone calls, the second best thing is to personally message them. NOT some generic emails. The best thing you can do is to personalise your service to actual problems they are going through. And, if they don’t need your service ask them if they know someone whom you can help. The people in your contact list already know you, like you and probably trust you. That’s why we are calling them the lowest hanging fruits. Are there 100+ friends on your Facebook? – Post on your wall about your service, message each of your friends and ask them if they or someone in their circle need your service. And, if possible give them 1st session for free. Right now, you don’t have any credibility that you are a great coach. You don’t have any case studies or testimonials of how you helped other people. I would suggest you take it one step further. Give your complete service for free to 3-5 clients in exchange of case studies and testimonials. You will gain trust in your ability that you can solve real problems. And, these case studies will help build instant trust in your site visitor’s mind. I have given Free In-Depth Site Reviews for FREE. Don’t fight over a penny if you want to stay in business for a long time. Moving on, have you ever been a part of any local community? You must have some people in your Church. Do you buy things for your house? Do you have a family doctor? Basically, if know someone even slightly – call them, meet them or message them. It’s much easier to spread the word about your service in your inner circle than posting random quotes on Instagram and hoping someone will call you up for your service. Finally, don’t stop when you get first few clients from your inner circle. Keep going until there is no one to left. If you have a few clients and you have talked to many other people in your niche, by now one thing must be really clear to you – What’s valuable for your audience? Now, will shy guys be ready to give you their emails for this great resource? Does this resource need to be really good? Hell Yeah! If you want people to remember you & trust you then give them a resource which will have a real impact on their lives. Please don’t create ok-ish PDFs. Nobody reads them. And if you are promising big and then under-delivering, people will unsubscribe from your email list. But, how can you know whether you have created something remarkable? Simple Test – Share it with ten people in your market. If they loved it and shared it with their friends or joined your program or referred you to someone, then your resource was great. Otherwise, accept the reality and create something again which they really need. Ok. Now, you have a great resource that people in your niche love. What’s next? Type ‘business’ in the search field and then select ‘groups’. Now, you have a list of potential clients in these groups. Join 4-5 groups which are most active and start understanding people in these groups. Most groups won’t allow you to promote your services directly. Then, what should you do? People in these groups are talking about their needs & struggles directly. You just need to read these posts, comments and try to help them out. Give them a great advice on how they can solve their problems. And at the bottom of your advice simply write – ‘If you want to know more here’s the resource I created’. Link back to your resource. This is how you target ideal clients for your service. Remember other coaches, for the most part, are not your clients. So don’t waste all of your time in those groups. Learn from them and then spend all of your time marketing and helping out your future clients. 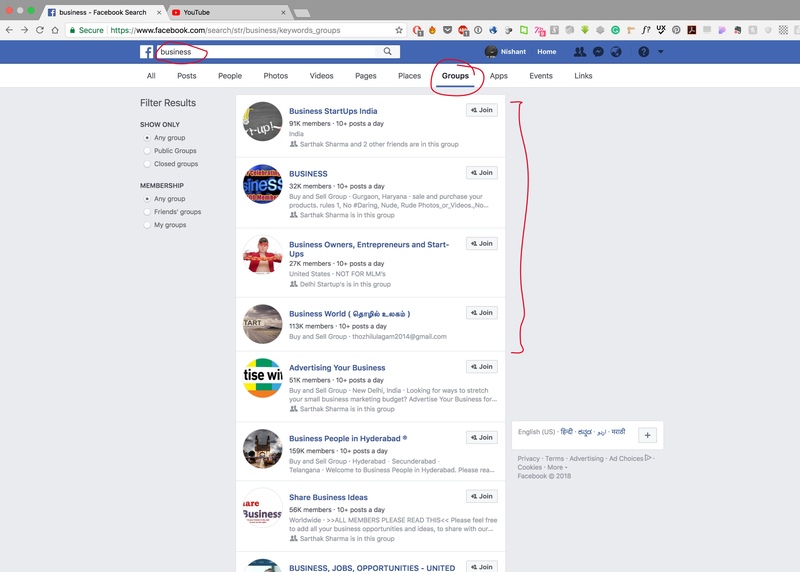 You don’t need to create posts which will get thousands of likes from random people. You need targeted marketing for your ideal clients. And Facebook groups is one of the best ways to do this. 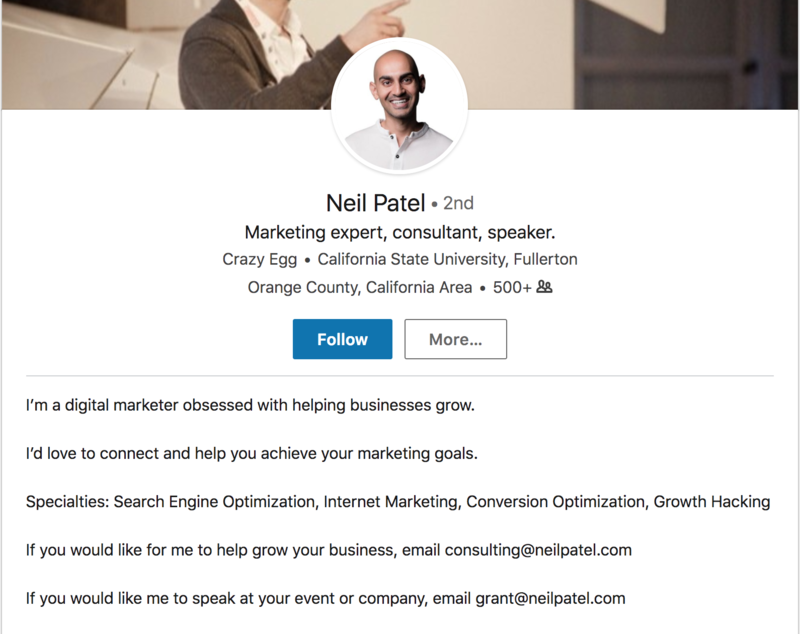 For business coaches and other coaches working with corporate people, LinkedIn is going to be your best marketing platform. Let’s start with your profile. Instead of writing your previous achievements, start with your value proposition and how you can help your clients. And, always mention your site address, email-id & your business phone number so that client can easily reach out to you. Don’t use LinkedIn share button to share your blog on LinkedIn. Instead, go to LinkedIn and create a post. 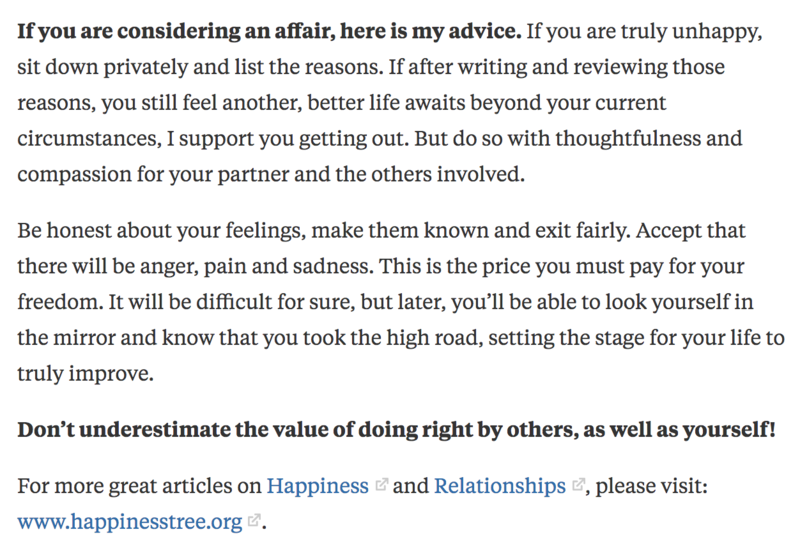 Now in this post, don’t write your complete article. Instead, write 3-4 starting paragraphs of your article/resource. At the end of these 3-4 paragraphs, give them a call to action – ‘Click To Continue Reading’. Link it back to the article on your site. That’s it. This is how you generate traffic and client calls from LinkedIn. Let’s say you are a relationship coach mainly dealing with infidelity. 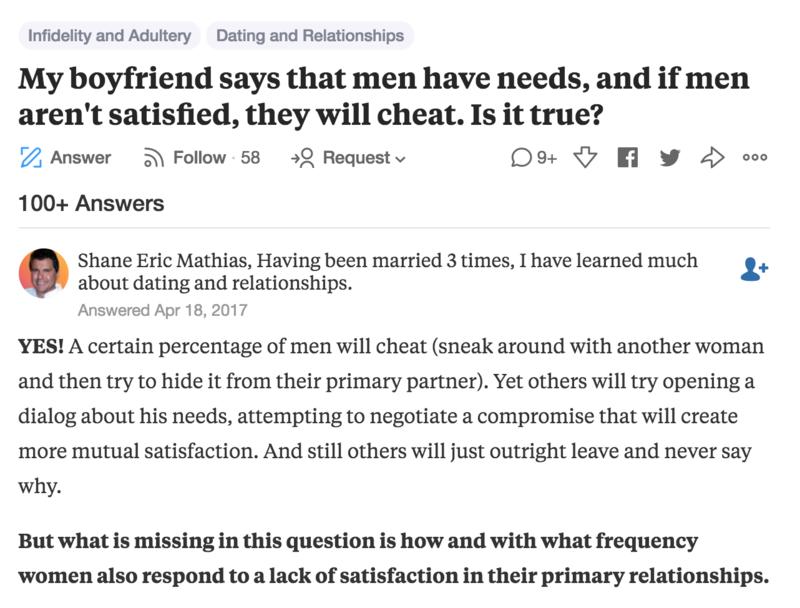 Simply search for ‘infidelity’ and you will have thousands of questions. What do I mean by that? It’s actually quite simple. If you are a Yoga coach then partner up with people who are selling Yoga pants and other stuff related to Yoga. They will recommend you as a great Yoga Coach and you can recommend them to buy Yoga related clothing and other things. Or, you can share a commission fee with them. If they bring you any client, you will give them 20% of your service. You are Yoga coach and they sell Yoga clothing. You are not competing with them to get clients or vice-versa. That’s what I mean by Non-Competitive Market. Find all the other vendors in your non-competitive market, give them a great deal and you will never run out of clients. These are not glamorous ways to market like sitting on your couch and writing blog posts. But, this is Business 101. You will find that all the great business people have strong partnerships in their non-competitive market. If you want to have a great business, go out there and make great partnerships. Find the person who has an influence over your future clients. Let’s say you are a fitness coach then you can find a fashion blogger/YouTuber who talks about fitness. Or, you are an anxiety coach then you can collaborate with a blogger/YouTuber who talks about career and productivity. The simple thing to remember is to find a person who already has your audience. Now, here’s my suggestion – Instead of just guest blogging for them, go live with them on Facebook, Instagram or Youtube. If you don’t know what to say on video you can follow an interview kind of format – Ask them questions in their expertise which can help your audience & let them ask questions regarding your expertise. You will deliver value to their audience and your audience will get value from their expertise. And, here’s why I am suggesting you go live or make a youtube video – According to a Cisco study: 75% of mobile traffic will be video by 2020. 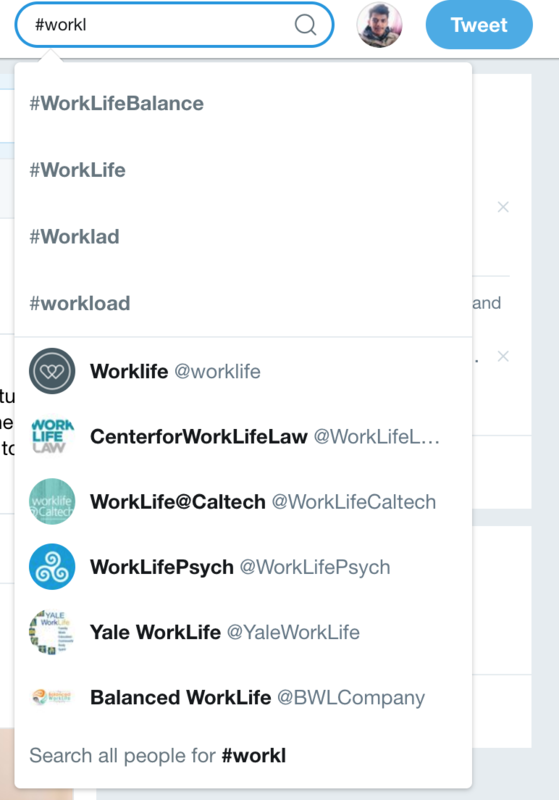 Let’s say you are going to write an article about work-life balance. 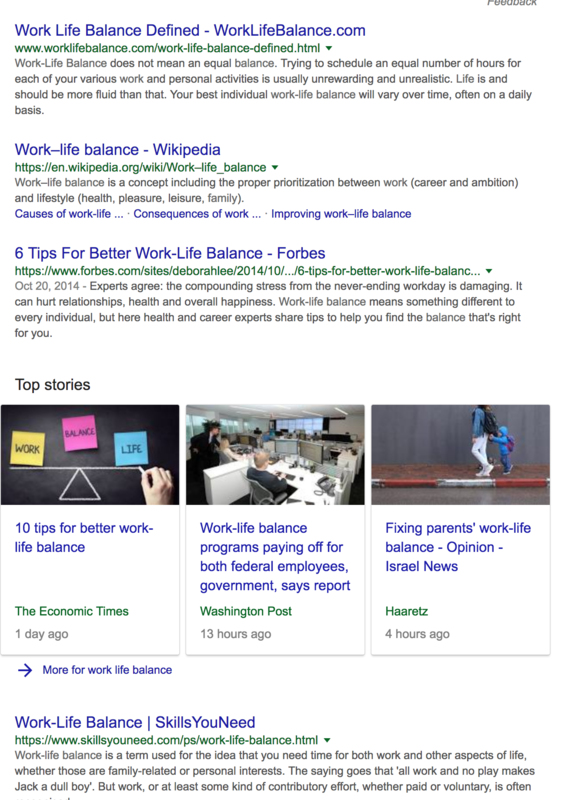 The first step is to go and find out the top articles on Google regarding Work-Life balance. Now, you got the idea what is already out there. You can now give a different perspective regarding that, tell an engaging story or write a case study how one of your clients achieved work-life balance. If the top article is giving 6 ways to achieve Work-Life Balance, then you write 21 great ways to achieve that. Don’t write very small articles. Google is looking for expertise and remarkable content. Secondly, long and deep articles are great if you want to rank higher in search rankings. It’s basically for finding out how many people are searching for particular keywords. If no one is searching for your blog topic then it doesn’t make sense to write an article about that. 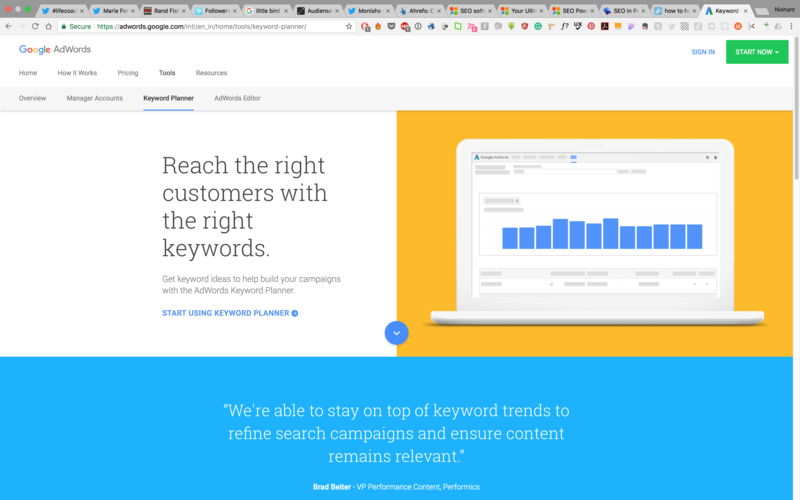 You can use Google’s Keyword Planner – https://adwords.google.com/intl/en_in/home/tools/keyword-planner/ to find out particular keywords for your blog posts. Now, include relevant keywords in the title and body of your blog posts. Linking back to your own articles. Links to the articles of other people relevant to your blog post. Now, when you include links to other person’s article make sure you tell them about it. You can simply mail them about how you love their work. And, ask them to share your article if they find it valuable. And, if possible please include 10-15 links to other relevant articles. You have written your blog post. 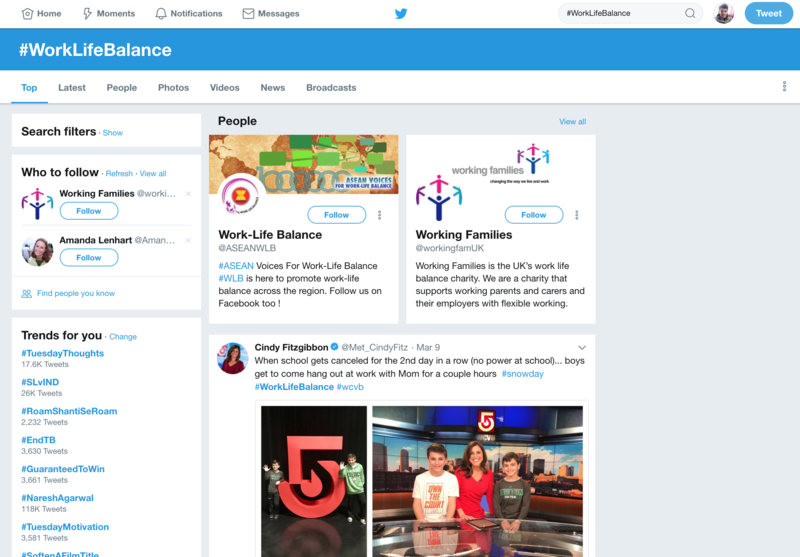 Now go on Twitter, find relevant hashtags, see people who are sharing related content, ask them to share your article if they find it valuable. 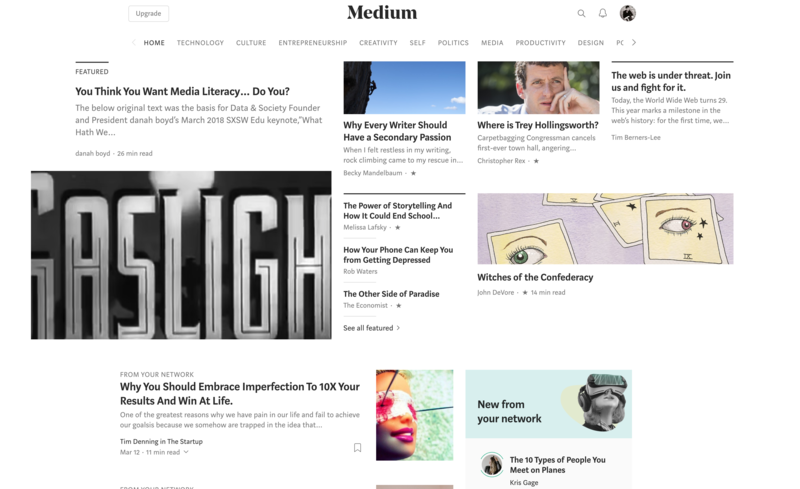 Post your article on https://medium.com/. They have a huge audience of people who are avid readers. And, you can find definitely find some fans if your content is great. These are a few steps you can follow when writing a blog post. There are many more steps in SEO or content marketing. But, this will give you a great start. These were 7 Practical strategies to find more clients. But, which one is the best? Your clients and people in your audience will answer that question. Ask your clients what steps did they take to find the solution to their problem. How did they find you? Just be in those places where your clients are looking. It can be a local workshop, facebook group, few particular sites or influencers. Lastly, never forget to double down on the strategy which is working and don’t stop until it stops working. We’ll be glad to collaborate with you and provide you with vital insights for your Business as well as your Online Presence. Be it your website, or your marketing or lead generation, we’ll be with you all the way providing you with our expertise in any way possible.